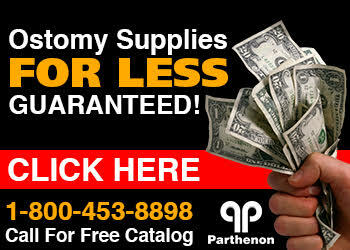 The Parthenon Company Blog - Specialists in Wound and Ostomy Supplies: Never Fear....Our Catalog Is Here To Save You From Paying Too Much For Ostomy Supplies! Never Fear....Our Catalog Is Here To Save You From Paying Too Much For Ostomy Supplies! Ever feel like you are paying too much? When I get that feeling, I become sick to my stomach and it makes me really want to find a place that doesn't charge ridiculously high prices for their goods. Much like the Parthenon Company, where the prices are on sale EVERY day and often remain the same for several years. In fact, the prices were edged up this year only because the manufacturers passed on big price increases and forced us to raise them. The specials run on the website, http://www.parthenoninc.com/ are frequent and definitely worth checking out. Staying with tradition, Parthenon has published its annual 100 page catalog for 2009 and if you want to SAVE A TON OF MONEY, give us a call or request your copy today!!! The Parthenon Company has been serving people with Ostomies since the early 1960's by mail order and store front. Our online presence has been noticed since we first started online sales in 1997....probably the first company of our kind to do so! We focus on what you need - ostomy supplies. We have requests to offer other items and we do whatever we can to get whatever our customers need and so you might see a few "non-ostomy" items, but overall WE ARE OSTOMY.